Cisco Snmp Tool is a Freeware Cisco Configuration Management Application. With later versions of the Snmp tool, there is a map interface which supports visual design of your network. 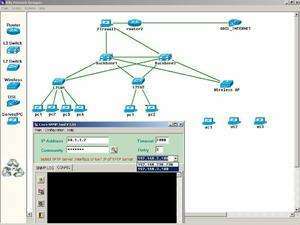 Program can be used at LAN and WAN networks. But never forget to increase timeout and retry values at WAN networks. For security reasons, you should also check out the Cisco Snmp Tool download at LO4D.com which includes virus and malware tests. Additional screenshots of this application download may be available, too.